The deltoid muscle is one of the troublemakers when it comes to shoulder pain. It also may be responsible for your impingement syndrome. This muscle builds the top layer of your shoulder joint. If you are a well-trained person it may give you a beautiful shaped shoulder. But if you overwork your shoulders, there is a good chance that it will trouble you. As you can see in the pictures below, pain created by trigger points in the deltoid muscle is mainly felt in your arm and shoulder. Here, pain will arise in the vicinity of the trigger points. That means, if trigger points are located at the front, side or back part of the muscle, you also will experience pain in the front, side or back part of the muscle and shoulder, respectively. That information will make it easier for you to find out, where trigger points might be located in your case. Also study the location of the trigger points – X1 to X6 – under attachment points of the muscle. 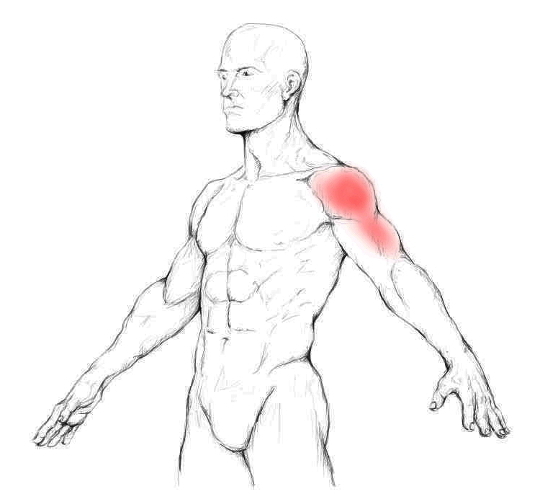 Note: Do not forget to also check other muscles for trigger points when your shoulder is painful. 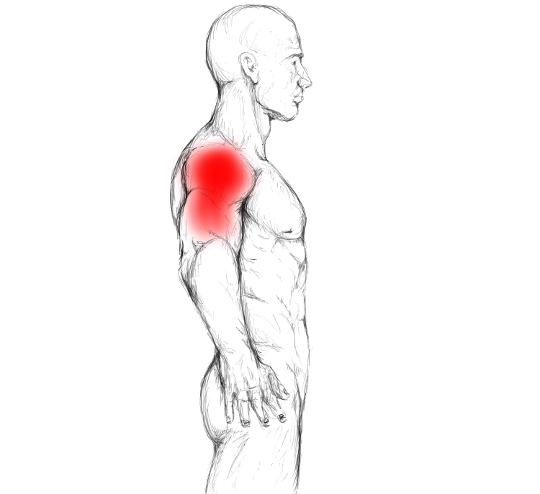 It is very seldom that trigger points in the deltoids are the primary reason for shoulder pain. 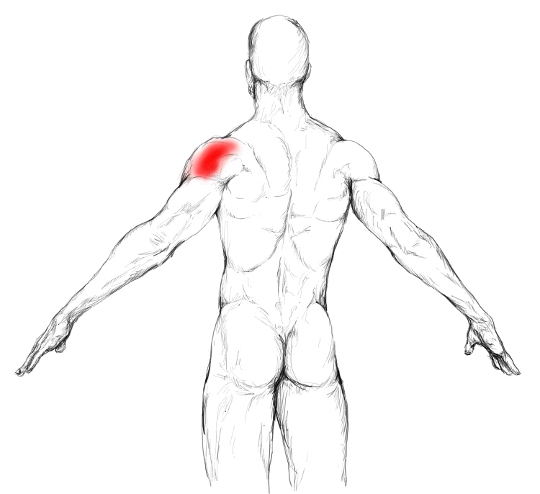 More often other shoulder muscles are the main troublemakers. If you have a very tight deltoid or one that contains tender or trigger points, you may be confronted with some difficulties in your activities of daily living. Combing your hair, reaching to your mouth or lifting your arm may become very painful if trigger or tender points are present. Even a lack of strength in the affected shoulder and arm is a common thing when you have tender or trigger points in this muscle. The deltoid can be separated into three regions. A frontal, middle and back division. All three parts fuse together at the outer side of your humerus/upper arm. The origin of the front part is the outer part of your calvicle/collarbone, the middle part comes from your acromion and the back part originates from your spine of scapula. All together they abduct your shoulder – whereas the middle part is the most active one during this movement –. 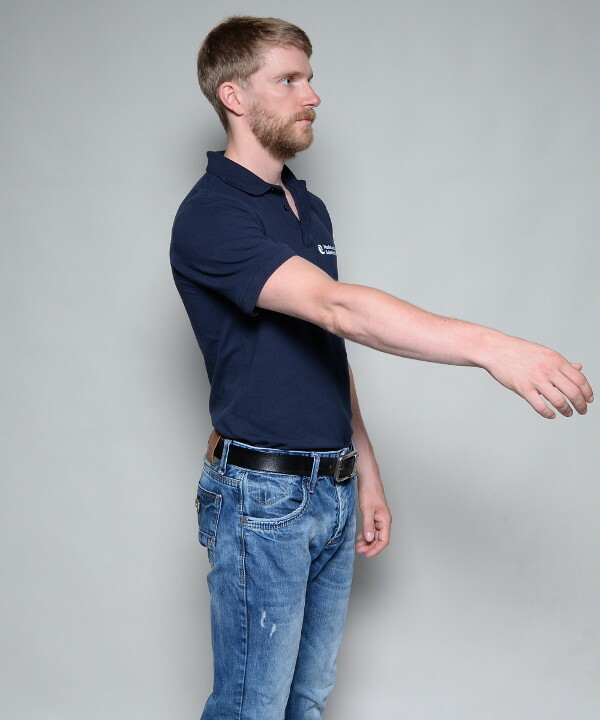 The frontal part helps to elevate/raise your arm in front of you and rotates your shoulder medially. The the back part participates in the extension of your shoulder and rotates it laterally. 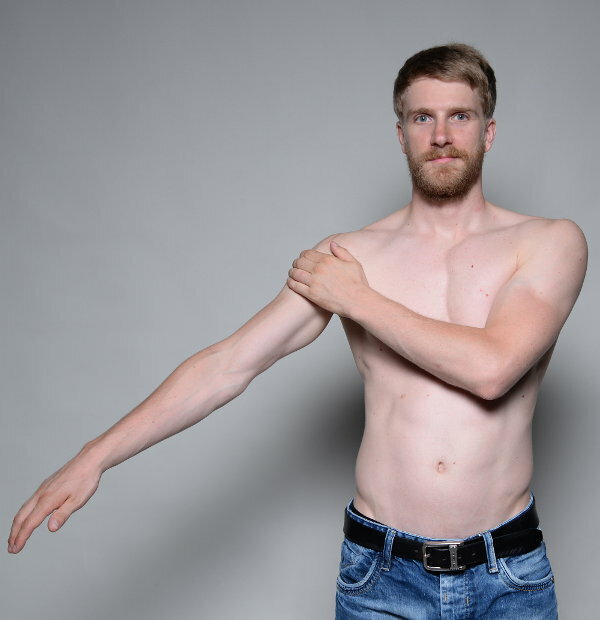 In general, activities or movements that require a forceful, repeated or consistent lifting of your arm, promote an overworked deltoid which in turn may develop tender or trigger points. Locating your deltoid muscle and its three compartments is fairly easy as it is the top muscle layer of your shoulder joint. It covers your shoulder from the front over the side to the back. 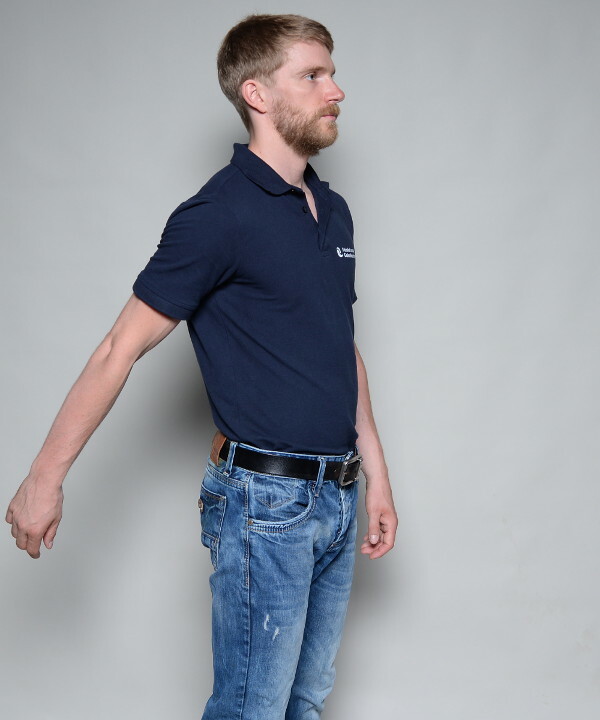 Just place your hand on your shoulder joint and then start the three movements that activate the muscle. I really think you will not have any problems at all to feel the muscle. 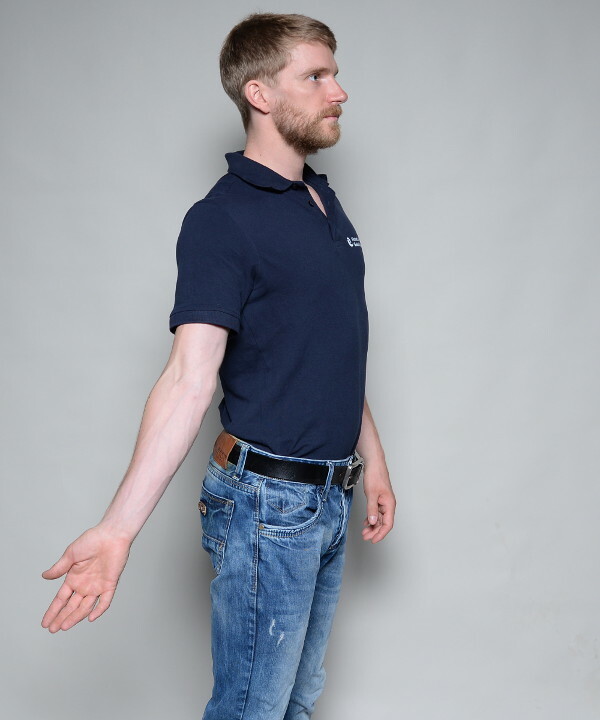 To feel its front part, place your opposite hand on your shoulder and lift it a flex it a few times. Search with your hand for the little muscle that is contracting with that movement. 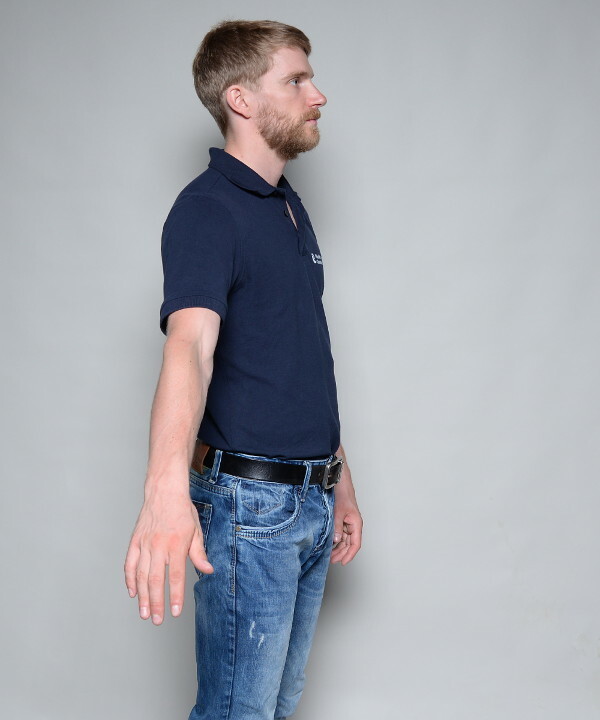 To feel its middle part, place your hand on the outside of your shoulder and lift your arm to the side. Last but not least we will palpate its back part. To do so, place your hand an the rear area of your shoulder, directly over your arm pit.Then extend your shoulder a few times. While doing so, you will feel the muscle contracting under your fingers. For self-massage I recommend a hard massage ball. You will be massaging mainly three different parts. You probably can imagine, those three parts will be exactly the ones that the deltoid muscle consists of. Place the ball on the part you want to massage. Then push against a wall. In order to find tender or trigger points, start to roll with the ball over the desired area. When you find a tender spot, stay there for a while and work it a couple of times. As always, use slow and deep strokes for massage. Slowly roll over this area and search for tender points. Massage every point with a couple of slow massage strokes. I am sorry to say that I have no picture of this position. Thus, I will create a video soon, so you can see how to massage this area. Here again, I recommend a massage ball. Place it on the outside of your shoulder and roll over the upper half of your upper arm. This way, you will search for painful muscle tissue and massage it with a couple of strokes. While doing so, make sure to keep your shoulder relaxed, and let it “hang loose”. Again the ball is your tool to go. This time, place it right in the area where you just palpated the back part of the muscle. Execute the massage in the same manner as shown above. Note: Here you will only massage a tiny area, and the most painful spots are usuaöy located right at the arm pit, right at the capsule of the shoulder. It can be difficult at times to find those points. So take your time!